High scores on advanced placement exams help students earn college credits while still in high school. Not only will these credits help them stand out in college applications, they’ll also be able to skip introductory college courses and get a jump-start on their degree. With May exams just around the corner, studying is a high priority. Learning Ally has AP study guides on a variety of subjects to help these exceptional students prepare for the strenuous exams. Popular courses include psychology, history, English literature, and environmental science. 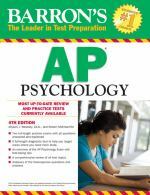 Barron's AP Psychology by Allyson J. Weseley; Robert McEntarffer 5th Edition A review of all AP test topics, including research methods, the biological basis of behavior, sensation and perception, states of consciousness, learning, cognition, personality, abnormal psychology, and treatment of disorders. 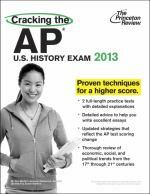 Cracking the AP World History Exam by Princeton Review 2013 Edition A must-have guide to the AP World History Exam. Timelines, summaries, and key terms lists are included in every chapter, with detailed, full-length practice tests. 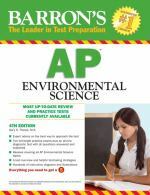 Barron's AP Environmental Science by Gary Thorpe 4th Edition The topics fall into three categories: earth systems and resources; the living world; and population. Each review section is filled with practice questions and quizzes with answers. 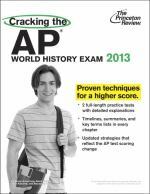 Cracking the AP U. S. History Exam 2013 by Princeton Review; Tom Meltzer; Jean Hofheimer Bennett 2013 Edition Detailed advice for receiving better scores on the U.S. History Exam. Includes two full-length practice tests with helpful tips to write better essays for the test. 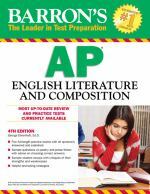 Barron's AP English Literature and Composition by George Ehrenhaft Ed.D. 4th Edition This guide includes sample questions with answers covering poetry and prose fiction. It shares a review of test topics including poetry, fiction, and drama, plus, a detailed glossary defining 175 literary and rhetorical terms. Click here to view a full AP study guide search in the Learning Ally library and use the filters in the sidebar to narrow down results by copyright year and subject area. Read more about AP on the College Board website.